Woolf, Noël [The British Numismatic Society (BNS) is an organisation for promoting and realization of the study of British coins and medals. It was founded in 1903]. The Sovereign Remedy: Touch Pieces and the King's Evil [Evill]. Rosenberg, Sally. Universalsammlung Vorwiegen Taler Des 16.-19. Jahrhunderts und Goldmunzen. Versteigerungs-Katalog No. 65. 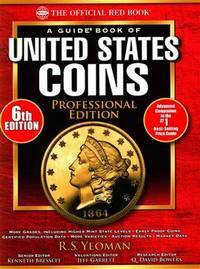 From Sotheby's to Classical Numismatic Group, Inc -Mail Bid Sale 53 Closing March 15, 2000-Coin Auction, from	The Coinage Of the British Empire to Italian Coin Engravers Since 1800, we can help you find the numismatics books you are looking for. As the world's largest independent marketplace for new, used and rare books, you always get the best in service and value when you buy from Biblio.com, and all of your purchases are backed by our return guarantee. Dennis McMillan Publications, 2011. First Edition. Hard Cover with Dust Jacket. Fine/Fine. Octavo. SIGNED AND INSCRIBED "FOR MY FRIEND CHARLES PARKHURST/REGARDS IN NUMIS AND BIBLIO" BY JOSEPH LINZALONE. A fine copy in a fine dust jacket. xv, 231 pp. New York: St. Martin's Press, 1977. SIGNED by author to ffep, with inscription to a friend's son. light corner bumps. dustjacket with rubs, light edgewear, and sunned spine. 297pp.. Hard Cover. Very Good/Very Good Minus. 8vo - over 7¾" - 9¾" tall. Birmingham, AL: Palladium Press. Very Good+. 1999. Hardcover. Special Edition prepared from 1947 original and privately printed for members of The Firearms Classics Library. Very Good Plus genuine blue leather covers with gilt spine title and gilt decorative covers. Superficial gilt scratches on top and bottom fore-edges. Ships same or next business day. ; 8vo 8" - 9" tall; 344 pages . Quiller Press. Hardcover. 1899163638 Very Good Minus in a Good++ dust jacket; Hardcover; Jacket is moderately shelfworn and edgeworn, otherwise is clean and intact (Now fitted with a new, Brodart jacket protector); Light wear to the boards with moderately "bumped" edge-corners; Unblemished textblock edges; The endpapers and all text pages are bright and unmarked; Binding is excellent with a straight spine; This book will be stored and delivered in a sturdy cardboard box with foam padding; Medium Format (8.5" - 9.75" tall); Black dust jacket with photo of a rifle and title in white lettering over black cloth-covered boards; 2001, Quiller Press; 280 pages; "Purdey Gun and Rifle Makers : The Definitive History," by Donald Dallas. . Good. London: John Russell Smith. Worn condition. Front board detached. Cover rubbed with loss to spine. Some foxing. Content in overall good condition. 1849. First Edition. Dark green hardback cloth cover. 230mm x 160mm (9" x 6"). viii, 257pp + plates. 8 b/w plates. Signed and dedicated by author on title page as follows:' John Lindsay Esq, Cork with the best compliments of the compiler London, Apr. 26. 1849, J. W. Akerman'. .
Graphic Pub. PAPERBACK. 1882824083 Very Good; Softcover; Covers are still glossy with a few small handling marks; Unblemished textblock edges; Small crease to the top right edge-tip of the last 50 pages, otherwise all pages are bright and unmarked; The binding is excellent with a straight spine; This book will be stored and delivered in a sturdy cardboard box with foam padding; Medium Format (8.5" - 9.75" tall); Tan covers with title in red lettering; 1994, Graphic Publishing; 432 pages; "The Complete Collector's Guide to the Identification of Colt Percussion Accoutrements, 1834-1873: Including Cartridge Conversions and Their Valves," by Robin J Rapley. . Very Good. Northfield, USA: Dun & Bradstreet Co. Paperback, Second Edition, 525gms, 288 pages. Learn how to do a variety of actions to your gun at home from maintenance and repair to Do-It- Yourself projects this has it all. Book is in good condition with mild general wear and tear, mild to moderate page discolouration, otherwise no other pre-loved marks. Attached picture is of actual book. Purchase more than 1 item and save money with combined postage. And if you can't find the title you're looking for - why not ask us direct. With over 30,000 books in stock we can't list them all!. Second Edition. Paperback. Good/Not Applicable. 4to - over 9¾" - 12" tall. London: B.A. Seaby, Ltd, 1937. Seven monthly pricelists from 1937, spanning the months January through July, bound in a printed cover. Very good. Warning: if you are a collector, the prices listed will only break your heart. 5.5x8.5 inches, occasional black and white photos. New York: Harper & Row, 1976. First Edition (U.S.). Hard Cover. Very Good/Very Good. 4to - over 9¾" - 12" tall. Washington: Department of the Army. Very Good+. 1953. Soft cover. Covers: .30 Carbine, Garand Rifle, B. A. R. , Pistols & Revolvers, . 22 Rifles, Shotguns, . 30 & .50 Machine Guns, Bayonets Rocket & Grenade Launchers, Web & Leather Equipment. With illustrations, diagrams & schematics. Very Good Plus. Small bookseller label on back pastedown. Ships same or next business day. ; 8vo 8" - 9" tall; 181 pages . London: Christie's Auction House, 1992. Auction catalogues parts 1 and 2 from a sale of The Armoury of Their Serene Highnesses the Princes zu salm-Reifferscheidt-Dyk part 1 on Wednesday 15 April 1992, Part 2 wednesday 23 September 1992 Catalogues is very bright and clean 148 pages in part 1 and 142 pages in part 2 with 548 lots over the two catalogue and mostly withcolour and B/w photographs and short description of the items. HEAVY BOOKS 1.8Kg with packing EXTRA POSTAGE REQUIRED FOR OVERSEAS.Books and dustwrappers are in very bright clean condition. SEE IMAGES. DETAILED IMAGES AVAILABLE ON REQUEST. First Edition. Boards. Very Good/Very Good. 10 ¾ x 8½ Inches. Hardcover. Northbrook, Illinois: Dbi Books. Very Good. 1995. First Edition. Soft cover. 0873491718 . Includes: Original Technical Articles; Complete Illustrated Catalog; and Up-to-the-Minute Test Reports. Very Good: bottom corner of front cover and first 17 pages creased. Ships same or next business day. ; Guns Illustrated: The Journal of Gun Buffs; 11 X 9.40 X 1.30 inches; 336 pages . Knoxville, Illinois: Gil Hebard Guns, 1965. Catalog No. 17. Paperback. Very good. Digest style catalog of Gil Hebard Guns, a firearms dealer who specialized in handguns. This is Catalog No. 17, published June 1, 1965. The issue features articles on marksmanship, reloading, pistol selection, as well as lists of National champions and their records. There are also 150 pages of merchandise listings with drawings and descriptions of guns, holsters, bullets, tools, and reloading supplies. Tight binding, minor shelf wear. Polybagged. New York, New York: Studio Book - Viking Press. Good with no Dust Jacket. 1965. Presumed First Edition. Hard Cover. 005817: LCCN# 65-17169. Scarce, Out Of Print, Book. Black cloth boards are worn along spine edge, spine edge of front board has some white/black streaking on it, and front flyleaf is starting to separate from spine; it has been repaired with archival tape. Rest of book's pages are clean, unmarked, bright, tightly bound and sharp cornered. Illustrations and black & white photographs are beautiful and detailed. "Endeavoured to provide a convenient visual reference book for the student who, at the moment, is obliged to consult a large assortment of catalogues - not always readily available - in order to locate existing specimens of some particular gun, or to trace examples of some unusual mechanism. ": 9 x 12 in. : 134 pages . Maryland: The Ordnance School, Aberdeen Proving Ground. Good. 1950. Soft cover. Will illustrations, diagrams and tables. Good: covers darkened and soiled. Pages tanned. Ships same or next business day. ; 24mo 5" - 6" tall; 104 pages . Northbrook, Illinois: DBI Books. Very Good+. 1985. Fourth Edition. Soft cover. 0910676933 . All about collecting. Leading gun collectors expound on: Nagant handguns; BSA--Britain's armourer; Collecting cannon; The fake problem; Is condition important? General Burnside and his rifle; A collector's guide to air rifles; Restoring a rare piece; Evolution of the modern bayonet; Mannlicher's pistols. With many photographs. Very Good Plus: small closed tear at spine top. Pages tanned. Ships same or next business day. ; 10.60 X 8.10 X 0.60 inches; 224 pages . Edinburgh: George Nicol. Worn condition. Cover rubbed and soiled with splits to hinge. Content in good condition. 1786. First Edition. Cloth backed board cover. 330mm x 250mm (13" x 10"). 157pp, 33pp + plates. 20 engraved plates. .
London, England: The Sportsman's Press. Near Fine in Near Fine dust jacket. 1994. Hardcover. 9780948253607 . "For more than two centuries English gunmakers have built the finest shotguns and rifles. This traditon has continued to the present day and it is guns manufactured since 1900 which Christopher Austyn examines..." Ships same or next business day. Color and Black and white photographs. Previous owner's name on the title page; otherwise in fine condition. Dust jacket has a small tear at the tail edge of front cover; otherwise in fine condition protected in an archival cover. ; 4to 11" - 13" tall; 128 pages . Accokeek, Maryland: Stoeger Publishing Company. Near Fine. 2001. First Edition; First Printing. Softcover. 0883172232 . Black and white photographs and illustrations. From the back cover - "Firearms expert Gene Gangarosa, Jr. Has written the definitive work on the development of Spanish handguns from the late 19th century to the present day. His 320-page, heavily illustrated book features the story of the Basque people of Northern Spain, whose skilled armsmakers learned how to incorporate the creative innovations of others into their own products. The Campo-Giro, forerunner of the famed Astra pistols, the Ruby (which became the modern Llama), the Jo-Lo-Ar; the Star, plus many more derivative products from Northern Spain are covered in great detail. Serial numbers, slide markings, disassembly procedures, ammnition and much more are included in this one-of-a-kind guide." Ships same or next business day. Previous owner's signature on the title page. Front cover has scratches top corner, minor edge wear with rubbing at ends of spine; interior is without other markings - clean, tight and bright in near fine condition. ; Large 8vo 9" - 10" tall; 320 pages . New York, USA: Arco Publishing Company, Inc., 1975. Hardcover with black boards and pictorial dust jacket, First Edition, 575gms, 217 pages, blank slightly discoloured endpapers. This is an illustrated guide to the gentle art of gun collecting- where and how to buy antique guns, what affects their value, hints on restoration, guidelines for investigation, and more. Book is in good condition with mild general wear and tear, some very mild page discolouration. Dust jacket is in good condition with mild shelf wear, a tear to the front cover no longer than an inch long, previous bookseller's price on jacket flap, otherwise no other pre-loved markings. Attached picture is of actual book. Purchase more than 1 item and save money with combined postage. And if you can't find the title you're looking for - why not ask us direct. With over 30,000 books in stock we can't list them all!. First Edition. Hard Cover with Dust Jacket. Good/Good. 4to - over 9¾" - 12" tall. Iola, WI: Bantam Books. Very Good+. 2004. Fourth Edition. Soft cover. 0873494601 . A comprehensive illustrated encyclopedia of the world's pistols and revolvers from 1870 to the present day. Photographs of all arms. Very Good Plus: front cover slightly curled at edge. Ships same or next business day. ; 10.70 X 8.30 X 1.10 inches; 432 pages .